These blocks are super easy to make. All you need is a type of wood. I picked a 1x4. You then cut them into equal lengths and paint each one a different color like shown in the picture. Or you could even paint them all one color if you wanted to. Take some sand paper and heavily sand each board all over. The more you sand the more the dark parts will show up on each board. You then take stain and paint it over the top of the paint all over the board. Let it sit for a minute or so and then wipe clean. The darkness around the edges will give it a burned look. 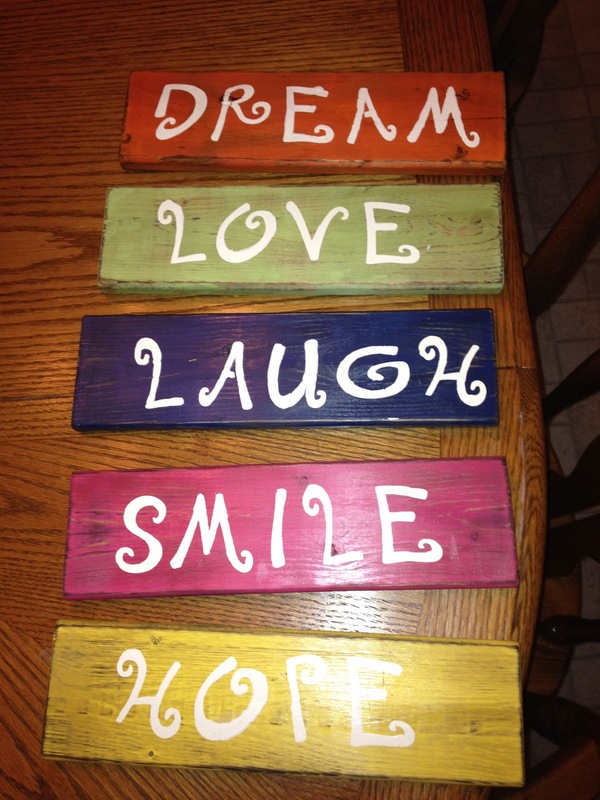 Then I took stencils and painted the words on each block. You could also use stickers or vinyl if you have some. I just used paint. 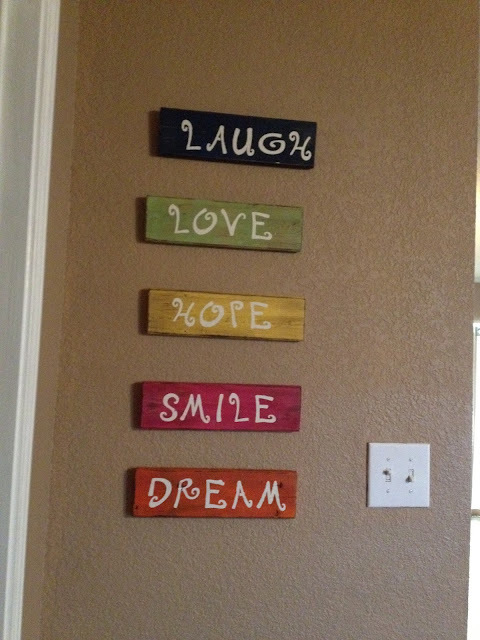 You then add hooks onto the back of each block and hang on your wall. The finished product looks like this. This is a simple craft that will give some awesome color to your home. I love these! Make me some!